Leaving the thread open for you to post. I will no longer be updating our pictures. Not worth the time or effort. Can't ask a question or post anymore without my head being ripped off. No longer an active member of DS. Will no longer be updating pictures. Not worth it. I would like you to know that you have one of the most awesome displays I've seen. Is this really your standard setup? Like they're all placed together like that? I say go for it and post your collection! 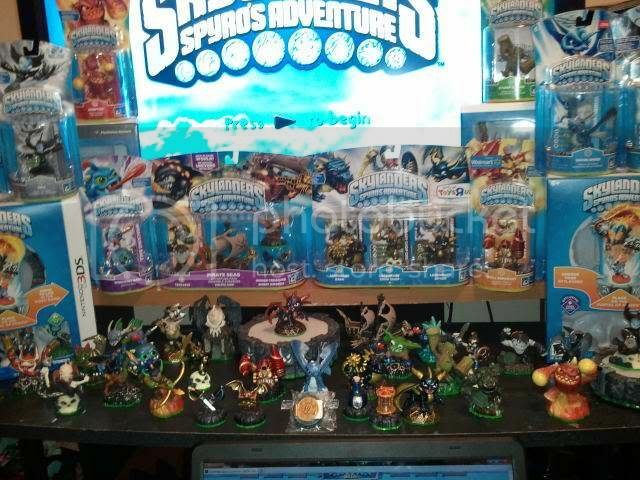 Owning any Skylanders at all and having your own personal collection is awesome in it's own right. 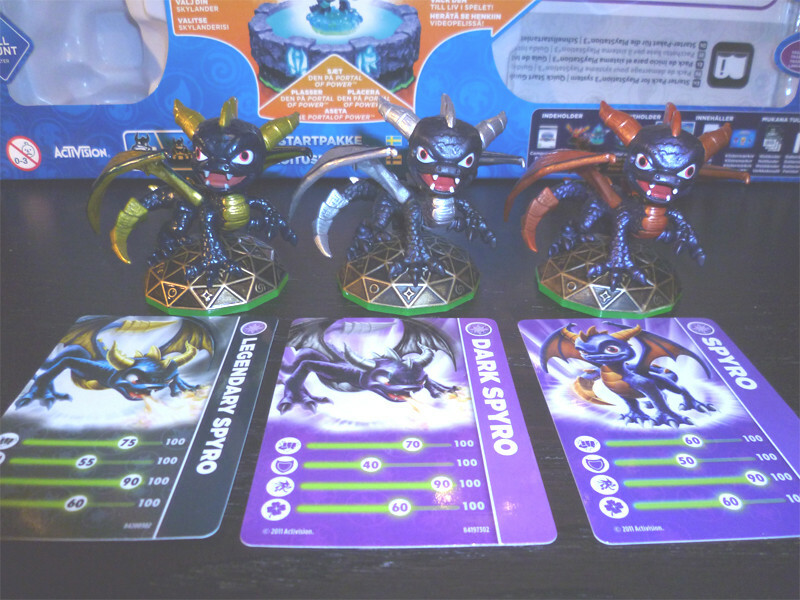 Ignitor and Dark Spyro added to the collection. 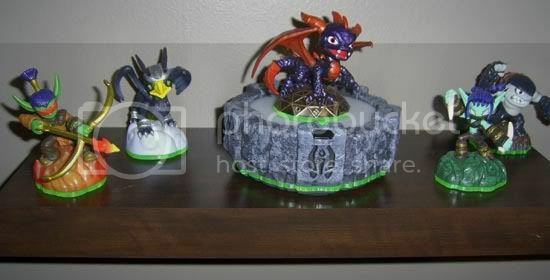 No pictures, I'm afraid, but I have all of the figures (sans Flameslinger, Drobot and Stump Smash), including Dark Spyro and the Legendaries, and the Adventure Packs. 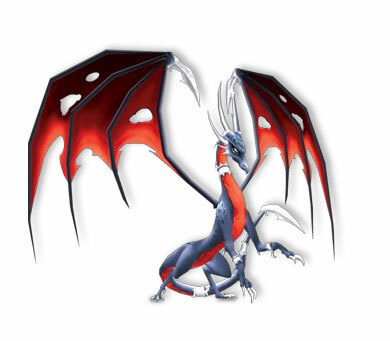 I have the Volcanic Vault, and the PS3/3DS versions. Wow, some impressive collections. This will all be nostalgic someday. So don't do something stupid and regret it later on. @ GameMaster78 You are actually what inspired us to collect in the first place. And nope we still need a sealed 3DS copy. My husband and I both play and both have a 3DS, so we each needed our own copy. 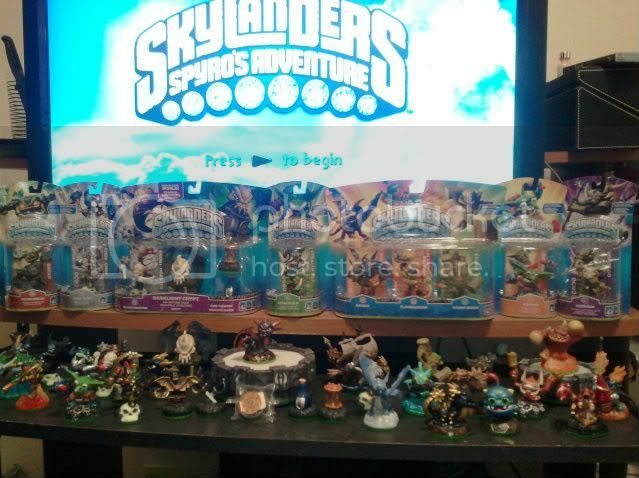 Need about 7 more figures and the Ghost Roaster set (along with sealed game copies) and we will have a double of everything We have been looking everywhere for a Silver Skylander, and we are jealous lol. We go out at least four or six days a week to get our exercise in and it has been a wonderful hunt. It has been a great excuse to get out and lose the excess baby weight from our son (178 at birth down to 145 *cheers*), and it gets us talking and having fun. Our son loves to sit and watch us play too, so it is just as well that we are collecting for him. If you mean by trading the game in, I don't ever trade my games in, I'd be ripping myself off. Plus, the game can't be traded in, from what I understand (at least at Gamestop here in the US). Nice collections, peeps. Keep it growing. Aah! I wrapped all of them up for the kids for Christmas, so can't photo them. I took a photo some time ago but that was when I had quite a few less. I promise a piccie soon after XMas. Thanks for the compliment. I'm glad I was able to inspire someone else to do the same. In the case of this game, it's totally worth it. We can all look back and say we supported something that wasn't a huge trend in gaming, where others flocked to the AAA bandwagon (though I think this will hit AAA status in time due to popularity). We can all give ourselves a round of applause, whether we own just the game, 1-2 figures, all the figures, or beyond. I think if I ever pick up the PC version of the game, I will keep it sealed to say I have a sealed console version. i dont think i can afford to buy so much of it. i have to save up for my trip to europe next year im in high school and im going on a culinary arts trip. No! Impossible! 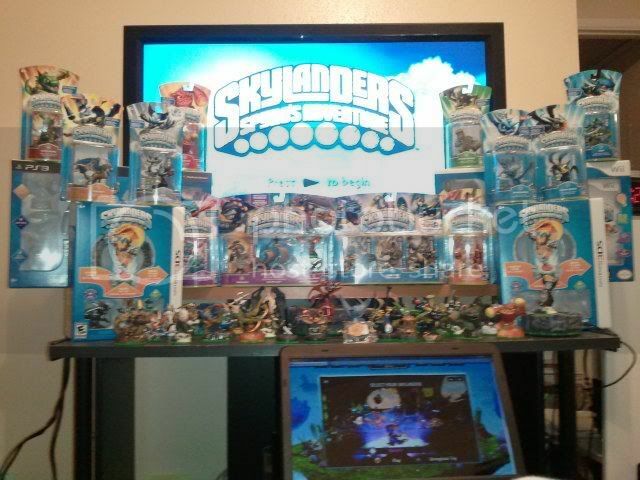 I need seven of every Skylander! Three with each build, and then one at L:1 with no stats to round things out. Of these seven, two are open, and five remain in the package. 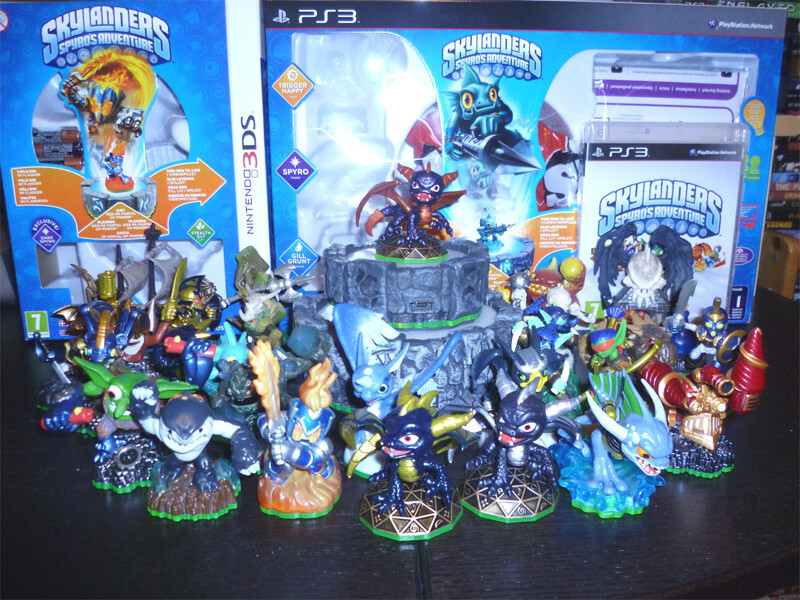 After all, what if the national currency becomes Skylanders at the end of this recession? You'll look really silly for telling me I only need one. 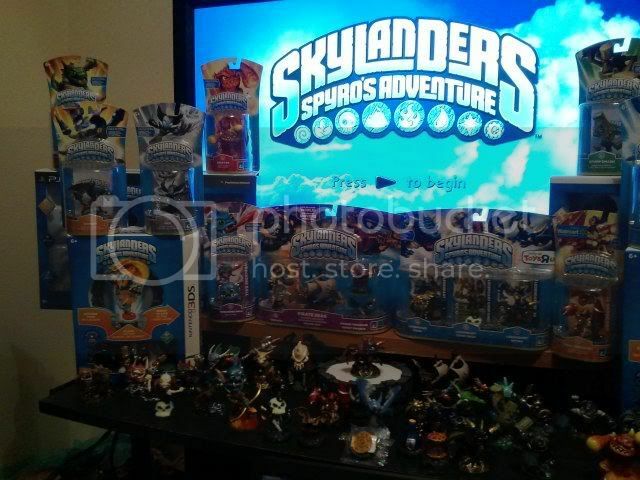 I don't think I could justify buying more than one of each Skylander. My only exceptions are Drill Sergeant (since I went on a bidding spree on eBay and bought one too many! ), and possibly Zap (since I'm ordering him in a triple pack with the three new ones, and it cost less than £1 more to get a triple pack than it did just to get individual packs). Just added a single bash! Gonna try for another boxed trio or two before the night is out. Edit***Yay got three of our last four boxed set! By smart buys and tradeins to gametop. That and some people gift it to us . He got he micolored ignitor in a 3ds copy of the game. 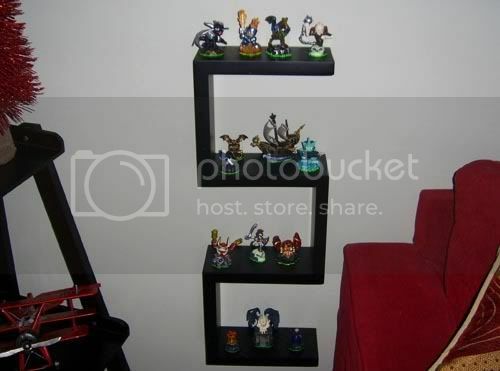 A couple hundred dollars is a nice little bonus, but in the world of adults, which Vhraina and I both are, it won't make or break our budget in either direction if we keep a boxed collection of Skylanders during the Christmas rush. My dad got me the game for Christmas. I was with him when he bought it, so that's how I know. xP Besides the standard 3 that come with the console editions, we bought Drobot and Zap. So my collection is tiny, although it's not gonna stay that way for long. I found silver rang and silver boomer Which are my pride ang joy i'll get my girl friend to help me post them. 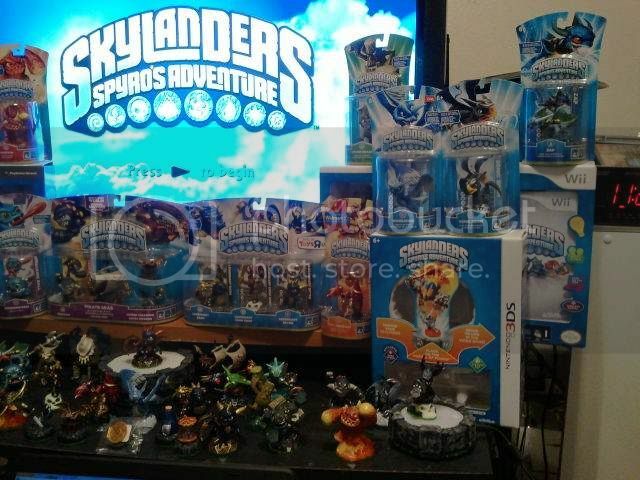 We would love to have a Silver Skylander, but they are near impossible to find and waaaay too expensive to buy on Ebay. 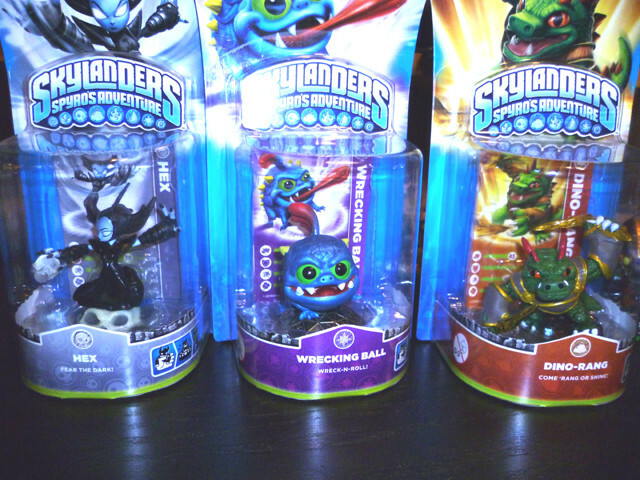 But here we go Meet our batch of Skylanders. 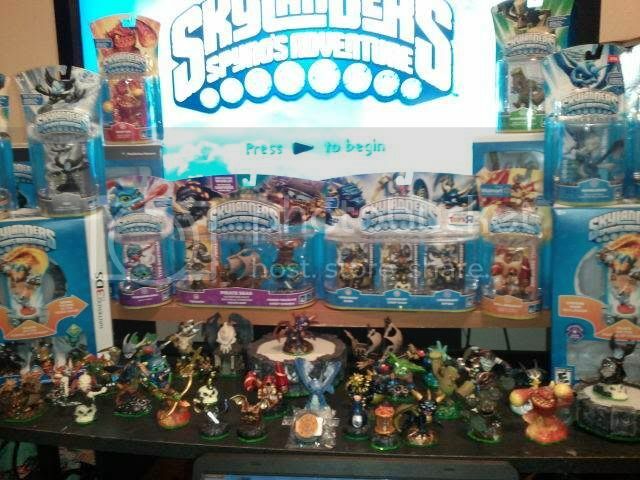 What Skylanders do you have? 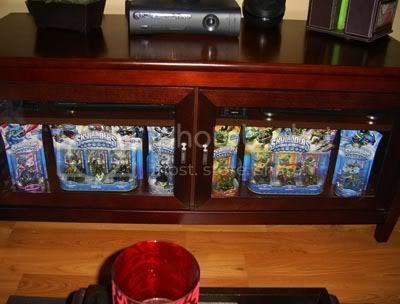 Have you seen those awsome custom made skylanders yet? Oh, we'd love to have a set. I'll polly dabble in making some articulated ones after the new year. I'll post the new pics in a day or so after finals are over. 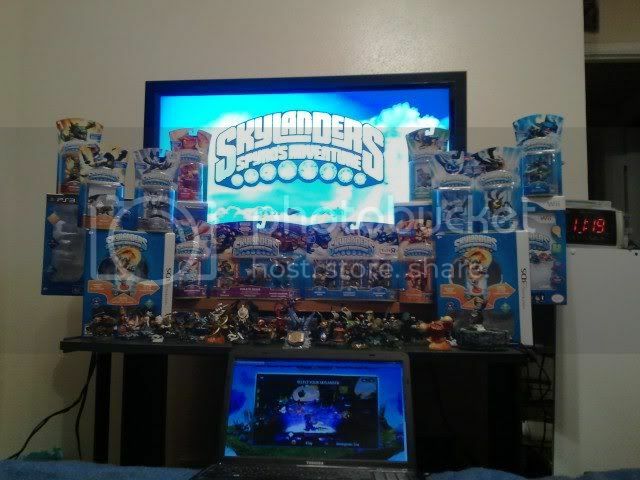 we all love skylanders here, nobody is a fool.. so dont worry about that.